The one hundred and fiftieth anniversary of Edward Elgar’s birth fell on June 2, 2007. This anniversary has been the spur for some strange commentaries in Britain: Elgar’s music isn’t modern enough; its tub-thumping pomp and circumstance state music doesn’t reflect contemporary, multicultural Britain. How symbolic, some say, that Elgar’s face has just disappeared from the twenty pound note to be replaced by that of sensible Scottish economist Adam Smith. This is political correctness gone barking. It is sobering to see that true greatness can still be blithely consigned, by some, to an imaginary junk heap of artistic detritus. Sensibly, the general public won’t have a bar of these musings, and no doubt Elgar’s music will continue to be comprehensively celebrated and performed. Australian artists, for many years on the receiving end of condescension from points north, can relate to Elgar’s long struggle to establish himself as composer and artist in a hostile cultural environment. Anyone who tries this face-to-face on Australians these days is in for a rude surprise, though there really isn’t any cure for parochialism and snobbery, which are without end. However, in some parts hereabouts, there is now, somewhat inevitably, an Australia-first campaign whereby anything English is hammered—they think—into the ground: psychic punishment for past colonial sins of omission. Percy Grainger, for example, is held up a preferable alternative to Elgar. As a republican, I have no desire to linger in antique realms, but I’m not going to be bludgeoned into rejecting greatness when it is there before me. English critics are partly to blame for Elgar’s reputation abroad with their endless references to Elgar’s Englishness. Elgar’s music belongs to the world, not just to England. 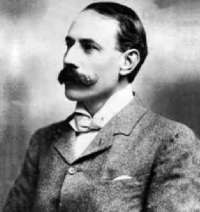 (There is a specific Australian connection in Elgar’s music. He sets Adam Lindsay Gordon’s poem ‘The Swimmer’ as the last song in Sea Pictures—‘O brave white horses! you gather and gallop, / The storm sprite loosens the gusty reins . . .’) If I stand on Bondi beach on a wild afternoon, hearing the surge of Alassio in my head, or, in mourning, recall that last restatement of the ‘Spirit of Delight’ theme at the end of the Second Symphony (‘the passionate pilgrimage of a soul’), this is not reflux nostalgia. Here is the music equal to the depth of life. If you want, there are certainly plenty of alternatives to choose from. Grandeur of spirit, and passion, in art, will never be consigned to a use-by date. Elgar’s story is a remarkable one of persistence through the awfulness of the English class system to the creation of great music, the first Britain had experienced since the time of Purcell. Elgar had a large chip on his shoulder because he, and his wife Alice, had to pay heavy dues in getting to this position of eminence. If, as I read, Elgar tried to wangle a peerage for himself, it was only what he deserved. Such splendour in the Malvern grass—the symphonies, the Violin Concerto, the Cello Concerto, the Enigma Variations, The Dream of Gerontius, Falstaff, the mass of ceremonial, occasional and salon music: all this music speaks of the seriousness and loveliness of the world, often with nobility, sometimes with wistfulness and melancholy. You don’t have to be Roman Catholic to enjoy The Dream of Gerontius. What sort of mindset is it that can’t enjoy music of this kind because it doesn’t fit the listener’s prescriptive personal agenda. There are people who claim to be living, mentally, always in the present moment. The radical, the cutting edge, are what they crave. When you have the pile of bicycle parts waiting for you at the Whitney Biennial, why go mooning over some Degas? How tedious to sit through hours of Tristan when some hipster rap group is about to let loose at the latest in venue. But what if Elgar or Degas or Wagner are, emotionally and creatively, more radical and cutting edge, than they they have ever begun to conceive. I live only in, and for, the present moment. Too bad if the present moment is dullness enbalmed and then overhyped by the usual organs of capitalist increase. Thus do some go their weary way, unaware of the marvels about them, forever out of reach because of ideological posturing or just plain ignorance. Well, I’m not forsaking Elgar for any whim of contemporary fashion and, if you don’t know the music of this composer, do yourself a favour that will repay you in kind one hundredfold. Knowing he had composed a masterpiece, Elgar wrote at the end of the score of Gerontius the following words of Ruskin: ‘This is the best of me; for the rest, I ate, and drank, and slept, loved and hated, like another; my life was as a vapour, and is not; but this I saw and knew; this, if anything of mine, is worth your memory.’ However much these words apply to Gerontius, they also apply to the whole. The grocer’s daughter who became Prime Minister of the United Kingdom once told the nation, in very different circumstances, to rejoice; and we may well say of the piano tuner’s son who became a composer of world renown: rejoice that such a person may triumph, and that such music can be.